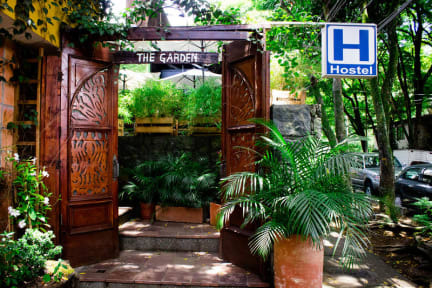 The Garden of Blues Hostal offer free WiFi, a terrace, shared kitchen, Shuttle Service (surcharge), Airport Shuttle (surcharge), shared lounge, TV area, daily housekeeping, business Center, laundry, Currency exchange, 24-hour front desk and shop. The Garden of Blues Hostal is located to 400 metres from Lleras Park, 800 metres from El Poblado Park and 3.7 km from Pueblito Paisa. 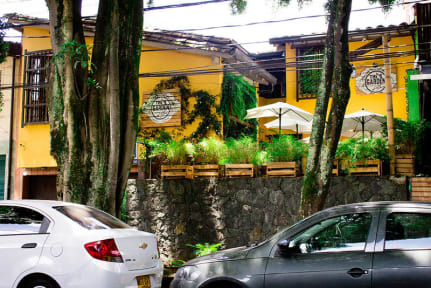 Olaya Herrera Airport is 3 km away.El Poblado is a great choice for travellers interested in Nightlife, Food and Culture. The Garden of Blues Hostal has 5 rooms. The rooms have shared bathroom facilities . A daily breakfast is included.